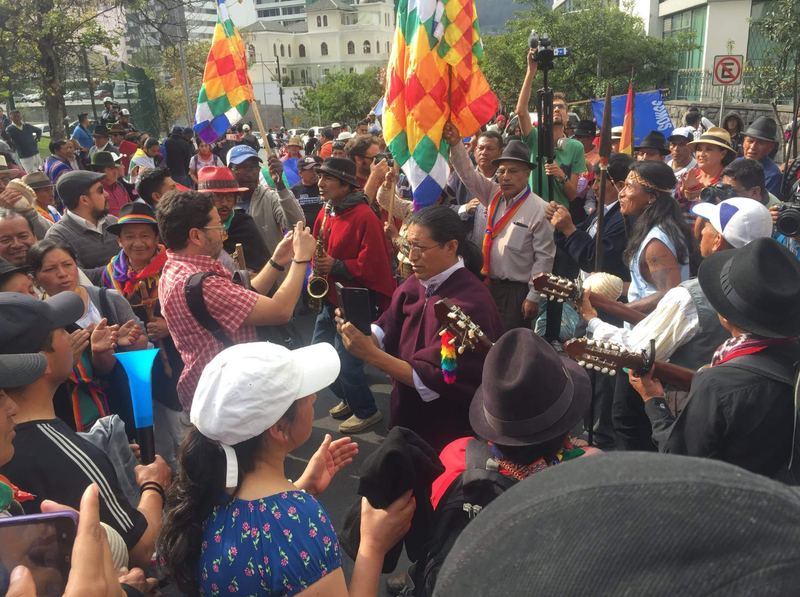 Latest court ruling casts renewed doubts on Ecuador’s upholding of its constitutional process amid fresh protests of human rights violations at the country’s largest open-pit copper mine, Mirador. The Amazonian Social Action Community Cordillera del Cóndor Mirador (Cascomi) brought the case against the Ecuador Ministry of Mining, Ministry of the Environment, Ministry of the Interior, the Regulation and Mining Control Agency (ARCOM) and mining company Ecuacorriente SA in 2018, over concerns that the Chinese-owned Mirador mine did not meet the constitutional requirements for prior consultation, among other serious human rights violations, including three enforced displacements. Judge Carlos Dávila denied the case for protection of the area on Tuesday 15 January, saying that the open-pit copper mine in the Cordillera del Cóndor did not affect the ancestral territory of the Amazonian community. The case rested on the mishandling of three enforced evictions, as well as community concerns over violations of their right to prior, free and informed consultation in the execution of the Mirador mining project, as well as indigenous rights violations. Concerns about evictions were not addressed by the court. 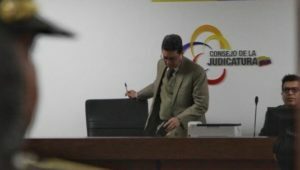 Cascomi’s vice-president Luis Sánchez said, “We will continue in the struggle until our rights are respected.” Coscomi community plans to appeal the sentence once they have received the written notification of the ruling. The ruling comes in the wake of two court wins by indigenous communities in 2018 where judges ruled that the constitutional rights of indigenous communities to free and informed consultation had either not been upheld, or had been directly violated. These included the nullification of 52 concessions on A’i Kofan land, and the permanent closure of another Chinese-owned mine – Rio Blanco in the buffer zone of the El Cajas National Park. “Subsequent court cases on violations of free and informed consultation have been lost amid claims of judicial corruption. We are concerned that the Ecuadorian government is attempting to qualify ancestral and indigenous ownership so that it does not have to meet its constitutional mandates,” says Liz Downes, member of the Melbourne Rainforest Action Group. The judicial ruling is just the latest in the series of challenges to the Mirador mine, which has been under fire since 2014 over general mismanagement. Three forced evictions occurred in September and December 2015, and February 2016 were considered "the strongest and most violent that have occurred" according to Luis Sánchez. This statement was verified by the Ombudsman's Office. These and previous evictions have resulted in huge community resistance and a spiralling of violent incidents in the area over recent years, including the murder in December 2014 of a Shuar indigenous leader known to be opposed to Mirador operations. Relocated communities have demanded reparation for unsatisfactory living conditions under their constitutional right to decent housing and access to clean water. 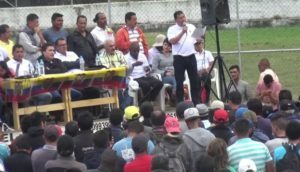 Local people have had to continually prove their relationship and link to the land, with Judge Carlos Alfonso Dávila ordering an anthropological survey on 6 June, 2018 to verify the existence of an indigenous population in the Tundayme area before issuing the reopening of the mine. 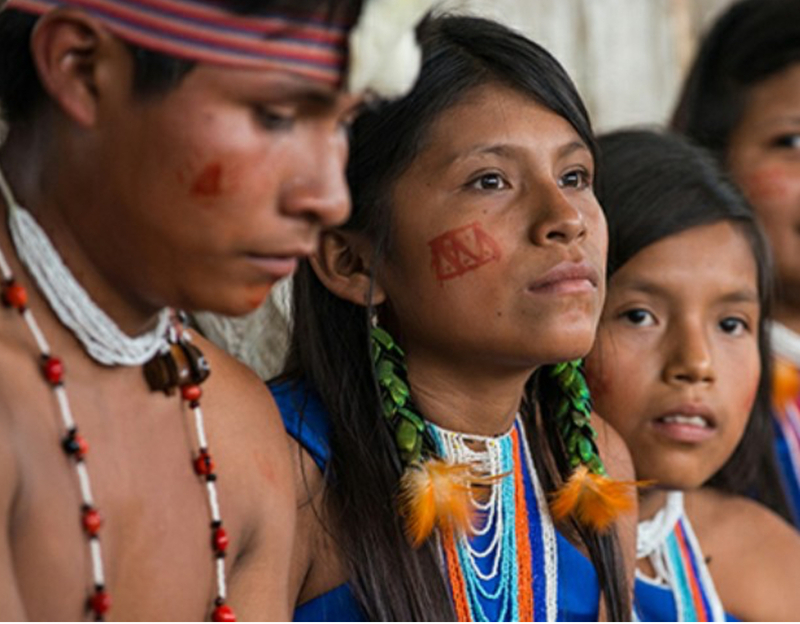 On 1 August, 2018, he ordered EcuaCorriente S.A. to temporarily refrain from carrying out intimidating actions and order any act of eviction against the inhabitants of the Cascomi indigenous community. Ecuacorrientes has also failed to comply with approved environmental management plans since 2015, amounting to $US 77,000 in fines and repeated mine closures, according to the Ministry of the Environment. Of 31 observations, the company was still working to correct 14 in 2018, including unplanned opening of roads, the inadequate management and operation of the sedimentation pools, and the bad management of debris. In December 2018, two workers died on a Mirador platform due to failures to implement adequate occupational health and safety protocols. Mirador, in the heart of the Zamora Chinchipe district in Tundayme, Ecuador, is owned by Chinese companies Tongling Nonferrrous Investment Co. Ltd. (TNMC) and China Railway Construction Corporation Limited (CRCC), which make up the company Ecuacorrientes S.A. (ECSA). If Coscomi wins the appeal, ramifications for investors and concession holders are likely to be significant. Fourteen percent of the country has been opened up to mining since 2017. Approximately 40% of the concessions are on indigenous (mainly Shuar) territory, and the rest are in globally significant biodiversity zones. This includes concessions held by Canadian Lundin Gold, Aussie heavy-weights BHP and Newcrest, as well as FMG, Hanrine (subsidiary of Hancock Prospecting) and SolGold, who announced in Jan 2019 expectations that their concessions, including Porvenir and Cascabel, could be the richest deposits of copper and gold ever discovered. Revenue from mining is hoped to pay off Ecuador’s massive international debts, mainly to China. As of mid 2018, Ecuador owed China $US6.5 billion in debt – just over 6% of the country’s total GDP. Hanrine Ecuadorian Exploration and Mining (HEEM), a subsidiary of Gina Rinehart's Hancock Prospecting has been involved in a political minefield in Ecuador for the past year. In mid December 2018, hundreds of members of the Ecuadorian Military were trucked into the town of Buenos Aires, in the northern Imbabura Province in an attempt to curtail illegal mining activities. The military and police have been active in the region over the past year. In late 2017, thousands of illegal miners descended into the region after the discovery of gold, with local reports stating up to 12,000 miners from as many as 10 countries rapidly mobilised into the area. Much of the activity of the “informal” miners has centred around a community now known as El Triunfo (the Triumph), which is located 3km inside in a mining concession, controlled by HEEM. The concession was granted by the Ecuadorian Government in early 2018, but local miners dispute the way the concession was processed and handled and are contesting its legality. Some are claiming that the concession process was flawed and that the concessions should have been granted to Ecuadorians, rather than an overseas Australian mining company. There now appears to be a power struggle emerging between the miners on how to manage a situation which is increasingly becoming fraught. Negotiations between HEEM and the miners appear to be polarising mining groups against each other, only adding to the tensions. There were two murders on the gold fields during the year, and hundreds of miners have been arrested. Prostitution and drug trafficking are becoming established in local towns. Truckloads of mining materials were also been confiscated. Other concerns regarding illegal mining can include: human trafficking, money laundering, arms trafficking, explosives trafficking, blackmail and influence peddling. El Triunfo, is located only a few kilometres south of the highly anticipated Cascabel project, overseen by another Australian company - Solgold. “In effect, any concession holders within the country could suffer outcome to that of El Triunfo,” says member of the Rainforest Action Group, Anthony Amis. “If gold is discovered by prospectors, literally thousands of desperate miners could descend on the concession in a very short amount of time. The gold rush at El Triunfo was spread electronically and through social media in a matter of weeks”. “We are concerned how these situations will be managed by Australian companies, who control hundreds of thousands of hectares of land in mining concessions throughout Ecuador” Mr Amis said. “Many questions remain regarding how Hanrine have managed and dealt with the problems of thousands of informal miners inside their concession. Most of the informal miners are very poor and have come to the region to work, many are honest and desperate.” Mr Amis concluded. Melbourne Rainforest Action Group (MRAG) today released a report detailing the activities of BHP Billiton in South America. The report highlights the company’s poor environmental and social record in a number of locations. Of particular concern is that BHP is now promoting itself as being environmentally responsible by promoting the use of its mining materials, particularly copper in electric cars. “MRAG has particular concerns about BHP’s intended entry into Ecuador, a country with minimal experiences in dealing with mining companies. BHP has recently purchased a stake in exploration company Solgold who hope to develop the Cascabel mine in the north of Ecuador. The copper at Cascabel is being promoted under the guise that it will be required for electric cars, yet the bulk of world’s copper demand is predicted to go into energy infrastructure, not electric cars” said spokesperson Anthony Amis. BHP has also been alarming people because of their exploration activities in the Intag Valley Ecuador, a region where the company has mining concessions. MRAG has documented a litany of environmental problems caused by BHP operations across South America, including the infamous 2015 Samarco mine disaster in Brazil which killed 19 people. Perhaps of even greater concern is BHP’s history in Colombia, particularly at its coal mine at Cerrejon and its divested Cerro Matoso nickel mine. Both operations have had devastating effects on people living the near mine sites. Horrific violence has been inflicted against community members in both regions, with 30 leaders have killed near Cerro Matoso. How has BHP managed to operate in these locations with little difficulty when armed groups operate in these regions? “The Colombian/Ecuadorian border is classified by the Australian Department of Foreign Affairs as a Do Not Travel Zone due to the very high level of risk, yet the Cascabel mine site is only 10km away from this zone, and anything transported from the mine will have to travel 30-40km through the no go zone. Why would you want to build a mine in or near this region, unless you were sure that you could pay for protection your asset” Mr Amis concluded. Mining disaster possible in Ecuador? News reports on the 5th of September that mining company BHP has purchased a 6.1% stake in exploration company Solgold for $35m have raised concerns that another mining disaster in northern Ecuador could be possible if Solgold’s Cascabel gold/copper mine is eventually constructed. Environmentalists fear that a repeat of the BHP’s /Samarco tailings dam collapse in November 2015 (Brazils worst environmental disaster) could be repeated in Ecuador. BHP appears to be in a tussle with Australian miner Newcrest over eventual control of Cascabel. Even in supposedly developed countries such as Australia, tailings dam walls can fail. Newcrest’s Cadia Mine in New South Wales was shut down 3 months in 2017 due to an earthquake and the tailings dam wall at Cadia failed in March 2018. Earthquakes recorded near Cascabel exploration area average higher magnitudes that than those recorded at Cadia. Potential pollution from any problems at Cascabel will mainly impact on the Rio Mira river which stretches through Ecuador and into Colombia. Colombians have already feeling the full brunt of BHP’s activities with communites near Cerro Matoso ferronickel mine suffering health problems for many years. Another potential issue is that Solgold will have to consult with impacted communities, which is required by the Ecuadorian constitution. In June 2018, an Ecuadorean Court shut down mining by a Chinese company Junefield/Ecuagoldmining South America for failure to consult with communities. Solgold have a history of discovering resources which later were sold off to leave others to deal with environmental consequences. Coal seam gas in Surat Basin Queensland and the opening up of coal mining in the Queensland’s Galilee Basin are two examples. MRAG also have concerns regarding Newcrest’s involvement in the Fruta del Norte gold mine in the south east of Ecuador, located near the border with Peru. Senator Lee Rhiannon questions AUSTRADE on the involvement of Australian companies in mining protected rainforest reserves and indigenous reserves in Ecuador. 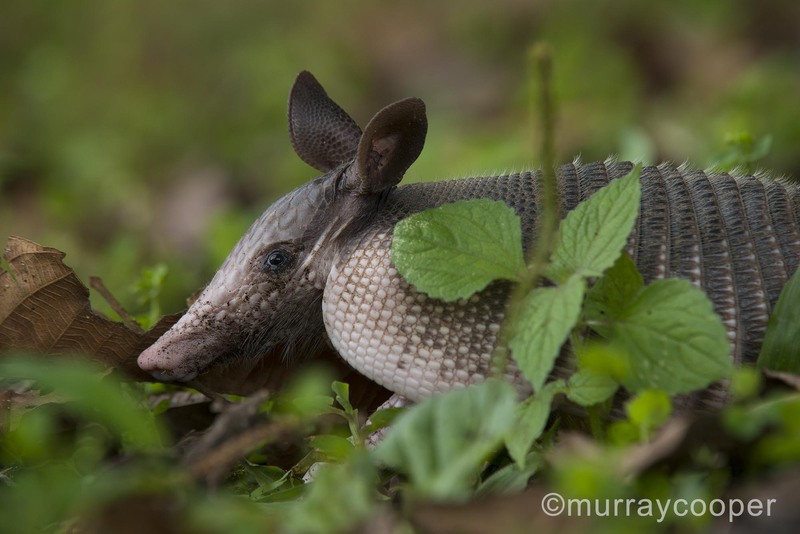 © 2019 Rainforest Action Group All Rights Reserved.